Wrist issues can affect everyone. Imagine what it would be like to perform your daily tasks without bending your wrists. Suddenly, everything from brushing your teeth to checking email takes on a whole new level of complexity. We spend almost all day using our wrists and hands, so it should come as no surprise that complaints about wrist pain are among the most common concerns physicians hear. Wrist complaints are not limited to office workers; they can affect the inactive as well as the active, and the moderately active people in between. Wrist pain can be caused by a number of problems. Some arise suddenly, and others progress slowly over time. 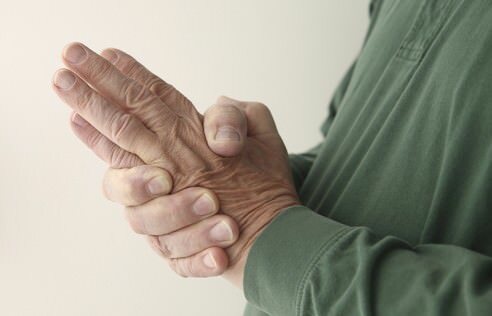 Repetitive stress injury is the result of using your wrist to do the same action over and over again, and is often seen in carpenters, musicians, postal workers, and athletes. Carpal tunnel syndrome, affecting the passageways conducting nerves and tendons through your wrists, is a problem faced by many professionals who work at a computer. Your wrist can also be injured in a fall or other trauma. Give attention to ergonomics. If your desk and keyboard are positioned for the comfort of your shoulders, elbows, wrists, and hands, you’ll be less likely to develop a problem. An ergonomic keyboard and cushioned wrists supports can help. If you do injure your wrist, it is important to seek a medical evaluation. Sometimes, a seemingly mild injury can mask a torn ligament or fracture and only prompt diagnosis and treatment will prevent possible stiffness, pain, or unnecessary surgery later. By taking preventative measures now, and consulting with your physician if there is an injury, you are doing your part to protect your wrists and keep them healthy.